In the Estey tradition, the Estey Organ Museum enrichens the civic and cultural life of Brattleboro. 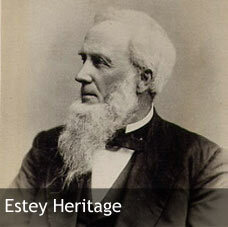 For nearly a century, Estey was known worldwide for its reed, pipe, and electronic organs. The Estey Organ Museum highlights the innovations in design, manufacturing, and marketing that made Estey an industry leader. Come and play! 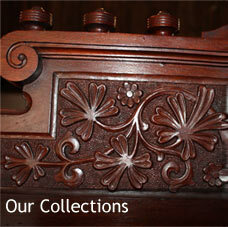 The Estey Organ Museum is open weekends May through October. 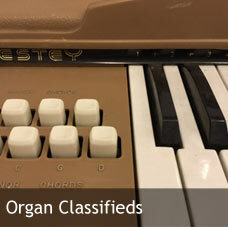 Welcome to the Estey Organ Museum, dedicated to the history and heritage of the Estey Organ Company of Brattleboro, Vermont, makers of reed organs, pump organs, melodeons, and pipe organs. The Estey Organ Museum community offers its condolences to Museum Founder Ned Phoenix on the death of his brother, Perry Casey Phoenix. The Estey Organ Museum will open for the season on Saturday, May 18, and will welcome visitors every Saturday and Sunday from 2 pm to 4 pm through October 13. “Vox Jubilante – Victorian Sounds on Estey Organs” contains a selection of Victorian secular and sacred songs performed on Estey reed and pipe organs. The CD is available from our online store.